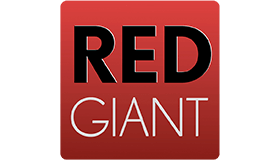 Best known for its Magic Bullet Suite, Red Giant develops filmmaking and motion graphics software. Independent filmmakers and big studios alike use Red Giant special effects tools for everything from major motion pictures to television programs and web production. The company has software developers located around the world and switched from SVN to Git, a distributed version control system, to facilitate workflow among its distributed team, speed development, and manage code for more than 60 software products and modules. Red Giant was already using Jira and Confluence when it turned to Bitbucket. “We use Confluence to spec out all of our designs. We then highlight a spec to create a backlog in Jira. Next, we create epics, and from there, we create our branches in Bitbucket,” says Micah Sharp, head of technology at Red Giant. With Bitbucket, developers can choose to work with Git via the browser, command line, or desktop client. According to Christopher Corbell, infrastructure engineer at Red Giant: "Our developers all work a little bit differently. Some use a GUI integration of Git. Some use the command line. Some prefer the desktop client. Flexibility is a big selling point for Bitbucket in that there are a variety of ways to get to our Git repositories." Red Giant uses the GitFlow Workflow and has over 60 branches active at any time. "The Bitbucket desktop client is magic. Using the client instead of the command line makes it really easy for me to jump between branches and stay on top of what is happening with the codebase,” says Sharp. Across the board, Atlassian helps the team at Red Giant gain visibility into what's happening in the software development lifecycle. "By using Bitbucket with Jira and Confluence, we can easily cross-reference our specs from issues to code. This helps us keep track of projects in development and also allows us to refer back to older versions of our products to see when and how issues were resolved," says Product Manager Nate Sparks.